Welcome to the homepage for the PERFECT project. PERFECT is an acronym that stands for "Paper and Electronic Records for Elections: Cultivating Trust." 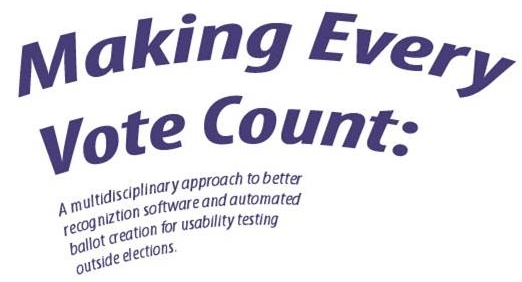 PERFECT is a multidisciplinary research effort aimed at studying the reliable processing of paper ballots and other hardcopy election records. Participating institutions include Lehigh University, Boise State University, Muhlenberg College, and Rensselaer Polytechnic Institute. In addition to serving as the homepage for PERFECT, this website includes other materials relating to our work on electronic voting systems. PERFECT is funded in part by the National Science Foundation under award numbers NSF-0716368, NSF-0716393, NSF-0716647, NSF-0716543. Any opinions, findings, and conclusions or recommendations expressed on this website are the investigators' and do not necessarily reflect those of the National Science Foundation.